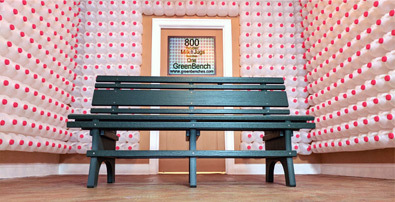 Park Benches, Outdoor Benches, Comfortable Benches, Made from recycled milk jugs, Eco-Friendly Outdoor Benches in a Variety of Colors. Reducing waste by using recycled plastic brings another benefit: HDPE is far more durable than wood. It's immune to most of the common issues that limit the lifespan of wood or metal furniture. It also sheds dirt and needs no refinishing over a very long lifespan. 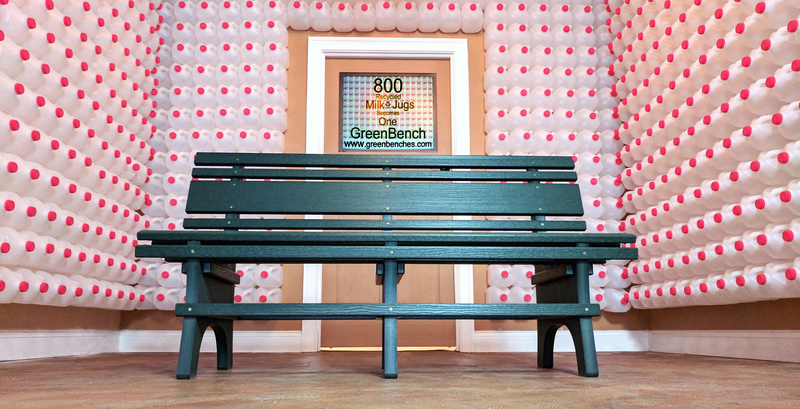 You can feel good about purchasing our benches while your customers and visitors feel good sitting on them! 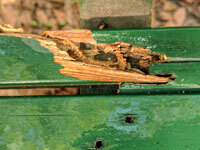 The lifespan of outdoor furniture is limited by two primary factors: corrosion and wood rot. 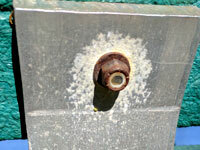 Corrosion is a threat in any design incorporating metal; the danger is increased if two different metals are involved (galvanic corrosion) and is accelerated in humid locations. As much as we love wood, it incurs a tradeoff between periodic refinishing or shortened lifespan. You'll never see either of the situations above even with no maintenance at all. Stainless steel screws are the only metal present, avoiding any galvanic corrosion. 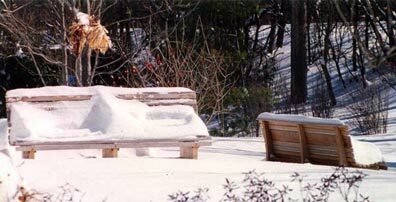 Freezing conditions and repeated freeze/thaw cycles pose no problem for our benches. They endure even in exterme climates and weather conditions. By eliminating the need to be repainted or refinished, there is no ongoing use of solvents and other potentially harmful chemicals. This yields an ecological benefit as well as a cost and labor savings in annual maintenance budgets. As professional woodworkers we were skeptical that recycled materials could be as good as wood for any furniture. Not only has the product exceeded our expectations in terms of appearance and comfort, but it's proven so durable that we feel confident in saying that it's superior in every way for commercial outdoor furniture. If it's going to be exposed to the elements, you can't beat the materials we use! You may visit our product detail page for more information.